You might have noticed a lack of post activity for over one month already. It’s mainly do to me being busy with life stuff and on a more grand scale – My lazy nature yet again. I’ve been thinking for a while now regarding my attempt at getting maximum mastery score on League of Legends – A challenge that I attempted a few years ago, back on my older account, which I gave away due to me not being good at predicting how long I would have been upset with the game. I really wish to make this dream come true. How the hell am I going to do this when Mordekaiser to me seems like an impossible champion to get good grades on? This is what I want to find out. I want to explore the huge roaster of all these freaks of nature. All the good and all the “bad” champions. Eventually, I’ll continue with my Fiddlesticks conquest or maybe I’ll find and pick something that suits me more. Who knows? I have Fiddlesticks to maximum mastery level already. The next champion that I did was Brand. The experience was pretty awful, mainly because I had over 20 bad games, 1/9 of which where my fault, no less. [Champion is cursed, I tell you!] God forbid you ever get to play against Leona/ Caitlyn! – Once you get CC’d, you just can’t move away from the spot, at least not until you are dead, that’s it! I used to play Brand mainly with squirrel pet, but the whole sorcery tree got nerfed, so I switched a few things around. [One thing only…] In my last games, I played Brand with Comet, weaker scorch and “I can’t tell the difference” celerity. I don’t think you want the river mobility rune. Really, Brand shines at bullying laners, rather than roaming. I am playing him support. You can get fed twice as fast really and your ult is way more effective with more enemy champions around. Given that you also invest in future market and free clock of many plays, you can get ahead really fast and obliterate everything. I am not the best at skillshots and I tend to play champions that are point and click, but honestly, with Brand, you just go into team fight and you throw your ultimate without really looking. Good job! You just won! I love watching people explode!!! 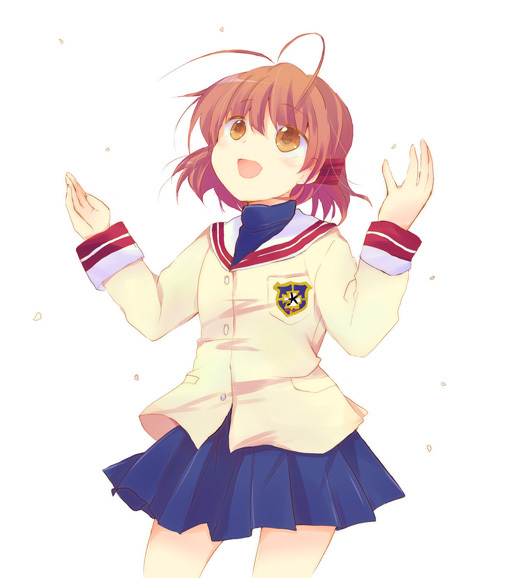 On this depressing and rainy week,I play Nagisa de panic and I try to have a good time.Doujin games do tend to provide you with that,charming you with their simple looks and “unique” gameplay.This one felt really comfy and fun to play.The gameplay was really fun,even tho’ the circle for this game usually makes games that…eh…nevermind!IT WAS FUN!Jumping from platform to platform with downward scrolling really hit the spot! Then,as I stared at the monitor motionless and the wind outside was trying to destroy my window,I mumbled silently.”This game is around 10 years old…”AND YOU KNOW,IT’S CLANNAD!YEAH!THAT ONE VN,TV SERIES EVERYONE GO MELLOW ABOUT,OVERDRAMATIZING EVERYTHING AND PROTECTING THEIR BELIEFS WITH THE COST OF THEIR,UM…pride.Yeah.People were really silly years ago.Good times.Just like this game. …and then I want to play VS mode that sounds fun,but I realize that I don’t have friends so I kill myself.The end!5.3 out of 10!Good job “Penguin Softhousu”!I had fun! This is a non-Christian blog! Pan da! sounds like Nanda! and it makes Nagisa look retarded! THERE ARE OTHER SELECTABLE CHARACTERS THAT PROVIDE YOU WITH DIFFERENT GAMEPLAY EXPERIENCE?! ?